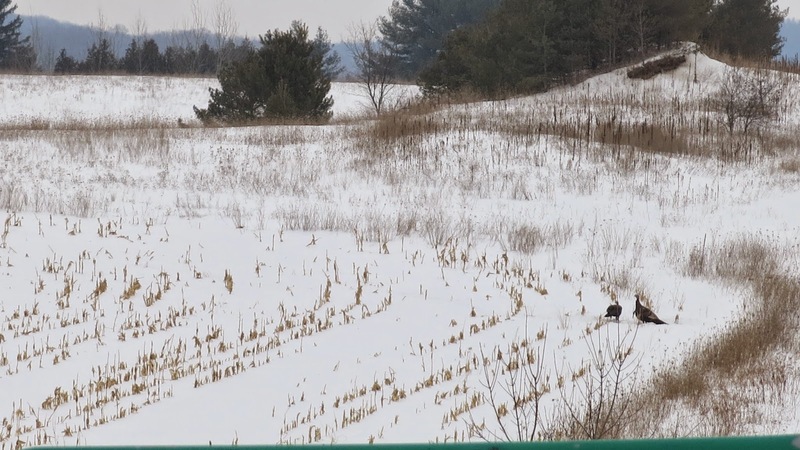 What a surprise to drive along the coutry road and see so many wild turkeys…not butterball….out in the snow pecking for food! 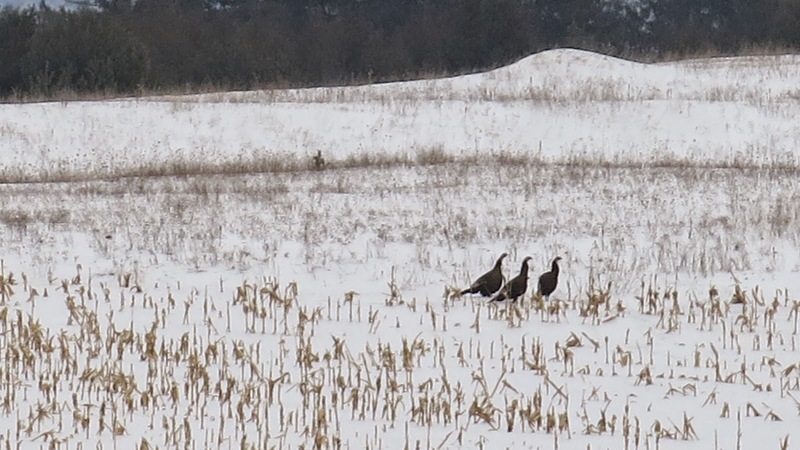 Further down the road we came across about 20 ot 30 of them together and as I approached with my camera they took off! I was having some trouble seeing them on the screen of the camera so it’s not the best video I’ve ever posted but it let’s you see them flying up into the trees!